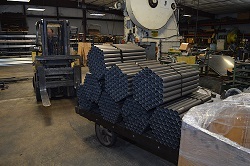 Ajax Steel is one of the largest steel tube and pipe distributors in North America. 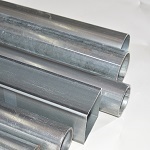 We offer hot rolled, cold rolled, DOM, cold drawn seamless and galvanized steel tubing. Available in round, square, rectangles and ovals. We offer transportation to anywhere in the U.S., Canada and many points in Mexico. 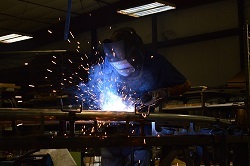 Services include cutting to length, bending, swaging, painting and other special fabrication requirements. 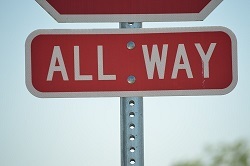 Whether you need a few pieces are many truckloads we can cover your requirements. Let us be your supply chain source. 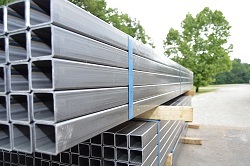 Ajax Steel has the largest supply of galvanized steel tubing available. 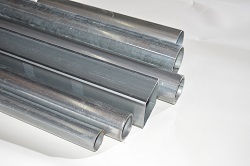 Our unique triple coated galvanized steel tube provides the best corrosion and rust resistance available. 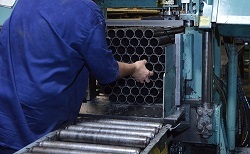 Our galvanized tube has three coats beginning with molten zinc, a conversion coat and a clear coat. It can be fabricated and powder coated or just left alone and it will look great for years. In line triple coated galvanized steel tubing. Hot rolled pickled & oiled steel tubing. Cold drawn seamless steel tubing. Copyright ©2017 Ajax Steel Company LLC All rights reserved.